I need to come up with a door for this 12X10 opening at a reasonable price. The options are a 4 panel, 10 ft high bifold door, an 8 ft high bifold door, an 8 ft high french sliding door and a 2 ft solid glass above the 4 doors or 4 panel stacking doors. Of course the french sliding doors are the cheapest and the stacking door is the most expensive (since it requires structural changes for me to be able to accommodate the door). Which way would you slide?! Any other options that I'm not considering? 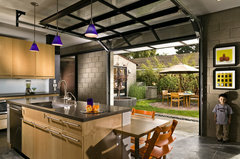 What about a see through panel lift garage door? Consider your household, and who will be using the door. I am assuming you will be getting a pool safety fence between the door and the pool. Tall bi-fold doors can be heavy for kids (and some small adults) to use. The sliding doors are probably the easiest to open and close if you are going to be in and out a lot. Bi-fold doors can crush little fingers if a child tries to close the door from the hinge point. 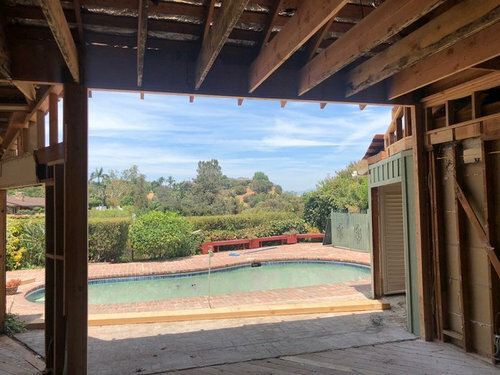 Consider how much of the outlook you will be loosing with the frame for each of your bi-fold panels. With a sliding door you only have one interruption of the view if you have one fixed panel and one sliding panel. You may also like to consider flyscreening and the costs. 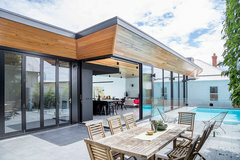 Flyscreening a bi-fold door is much more expensive with the sideways retracting flyscreens, than a standard sliding flyscreen for a sliding door. I am not sure if you can retrofit a flyscreen to a bi-fold door in a a neat and tidy manner. Cheapest option would be no flyscreening! Bi-fold doors look spectacular for a photoshoot when they are fully open (with no flyscreening), but for day-to day practicality I don't think you can beat the ease of a large glazed sliding door, which will give you a better view of your nice aspect on those days when it is closed. Need help for my bathroom door - sliding, bi-fold or swinging? Sliding doors vs bi-fold doors — how do they stack up? Stacker doors or bifold doors? 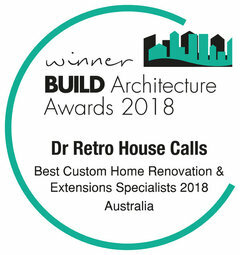 Aluminium or Timber bi-fold doors for extension on heritage home?